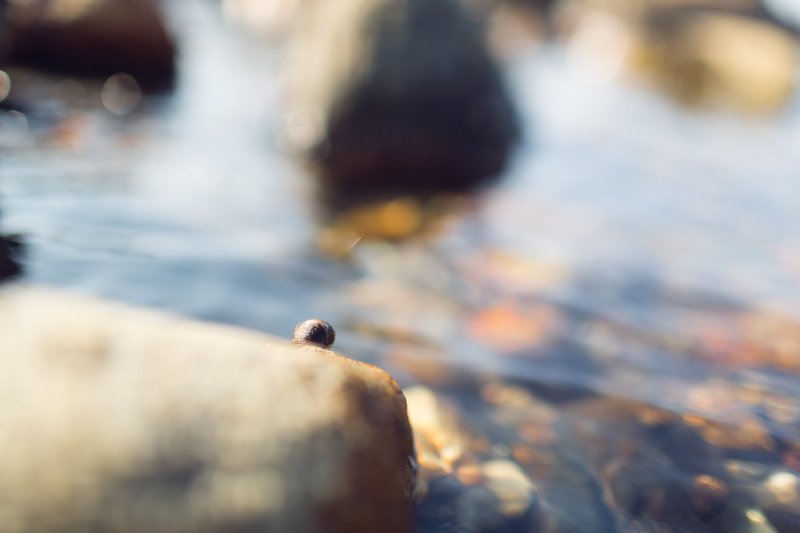 Imagine what it must be like to be a periwinkle on a rock. We are much bigger than this rock but the rock is much bigger than the periwinkle. It climbs way up to the top and assesses its domain. Its whole world in a little tide pool. Its world grows and shrinks every day as the tide changes. I wonder what else goes on in the secret life of the periwinkle?